My family started MST after experiencing huge behavioural problems with my middle child, I was in a desperate situation and really believed having my son accommodated by the local authority was my only option, I couldn't cope, some weeks he was reported missing up to 12 times, he was smashing my house up, taking drugs, his offending was becoming more serious to the point secure accommodation was becoming a reality , my whole family was stressed and it all became unbearable, I had to resign from my job as I was calling in sick continuously due to my child's behaviour, it was impossible to manage , my son’s social worker suggested MST. I researched it online and thought there was no way this program was ever going to change anything with my child, I was reluctant, an American text book program could not change a child from a housing estate in Scotland that was a law onto himself, my son is ASD diagnosed which added to my belief this would never work for us, I was worried being a busy single mum I couldn't commit to such an intense programme. However the worker we were given understood this, she understood that it takes time for change, spoke to us in a way we understood, she made sessions at a time that suited my family and altered everything to suit us while being real what would work and what wouldn't work , during the program at times the kick back from implementing these changes were tough , it would have been easier to stop this program and avoid this backlash , but I knew this was a short term fix , I wanted my son living at home and I needed his behaviour to change long term in order for this to happen, I had to carry on through some of the toughest times I've experienced as a mum , many times having to step back, evaluate and put new plans that suited my child in place when previous ones were failing, my worker recognised this, going back to the board and reassessing what was and wasn't working and altering plans to suit him , there were lots of tears and tantrums along the way but slowly the penny has started to drop this is a new way I’m doing things and no amount of kick offs are going to change that. 5 months on ... almost completing the programme, I would like to say my son is now an angel, he’s not! But I now have the tools to deal with that with confidence that I never had before, each time there's an incident with him I follow MST plans to the T and each time it becomes less and less of a problem, he hasn't been reported missing at all lately and his offending is almost non-existent, I can't remember the last time he smashed my house up , and I have been able to return to work and not needed any days off , there are still behaviour issues , there are never not going to be due to his ASD and his "wild child" nature, the issues I faced before are now becoming a thing of the past, i can now see the signs before they happen and stop him in his tracks with confidence. Most importantly my son is still at home where he belongs, my house is a more calm environment than it's been in a long time, and for that I will be forever grateful to MST for helping me achieve this. "When MST came into our lives I was deeply concerned for my son's education, welfare and his future as things seemed to be going from bad to worse and I felt like I was actually losing my son. He was not attending school, mixing with negative peers, staying out late at night and sometimes all night, smoking illegal substances, being verbally and physically aggressive and destructive and he was actually living with my parents after being bailed. It was so upsetting and distressing to see and experience and I was convinced it was too late to turn this around. He had just been moved to alternative provision off site and his attendance was below 20%. His levels way below average as during year 9 his attendance was appalling and when he did attend he completed very little work. His attendance is now nearer to 80% and his levels have improved - going from a U to a D in maths and a subject he was convinced he would fail at. I now feel I have the confidence to implement consequences and give praise and rewards where deserved. He has recently made the decision of his own accord to give up smoking and has joined the gym and regularly goes trampolining which has helped with his GCSE PE at school which he was adamant he was not going to do when he went into year 10. The relationship I now have with my son is so much more positive and he is thriving. 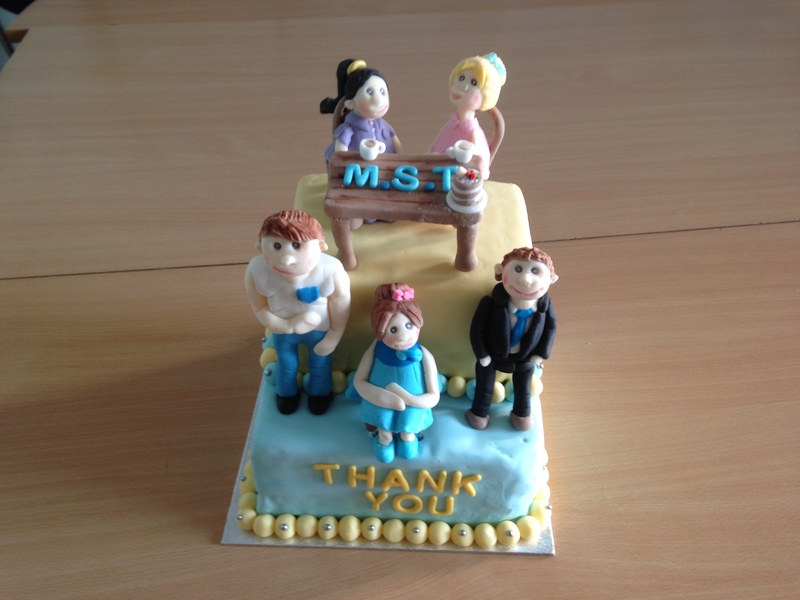 MST offered support and guidance where needed and helped me put things in place like a morning and evening routine, behaviour management plan and gave me lots of advice. My therapist came to visit me during my working day and evenings and there was someone always on the end of a phone to give advice if needed. I too have started to do more joining a running club, dog walking club and going out and I feel much better myself for this. My son loves the predictability and structure that has now been implemented both at home and school. Our house rules are clear and visible to my son and I and I complete his behaviour sheet daily and his 4W sheets which I have found most useful - this helps me monitor where he is, who he is with, what he is doing and when he will be back. It is really difficult to remain calm when you have an angry, verbal, hormonal, upset and know it all argumentative teenager hurling abuse at you but what you need to remember is that if you react to that it will only make the situation worse and things will escalate. You have to remember you are the parent so you need to remain calm and lead by example - your child learns everything from you and when their world seems like it is falling apart they will look to you for support as you are their whole world. MST has been a god send to our family. A child talks about his experience with Multisystemic Therapy. This powerful interview helps all of us understand – what MST is like from the perspective of the the child.